When Frederick Law Olmsted was commissioned to design the Emerald Necklace in 1878, the filling in and subsequent development of the Back Bay had recently been completed. The transformation of the area was both physical and cultural, and problems arose in both categories. The growing population created a need for recreational open space as well as a need for more business and industry, which in turn led to pollution problems due to a lack of planning regarding sanitary engineering. The resolution of these two issues formed the design that Olmsted developed for this section of the Emerald Necklace, which he called Back Bay Fens. The waste disposal of local industries had resulted in an open sewer condition in the landlocked marsh, so Olmsted built a brackish creek that flushed twice every day with the tides of the Charles River. In an effort to respect the history of the area while making such major alterations to the landscape, he selected plantings that recreated the original tidal marsh conditions of the fens. 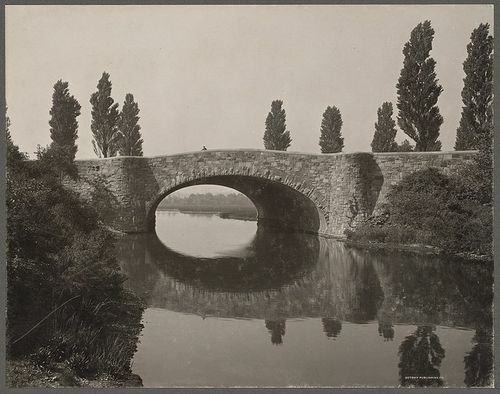 In 1910 the reconstruction of the Craigie Bridge, which included a dam, turned the Charles River into a fresh water basin, thereby rendering many of Olmsted's plantings that were suited to brackish water unsustainable. At this point, Back Bay Fens entered a period of transformation that would eventually lead to almost the entire park being reshaped. 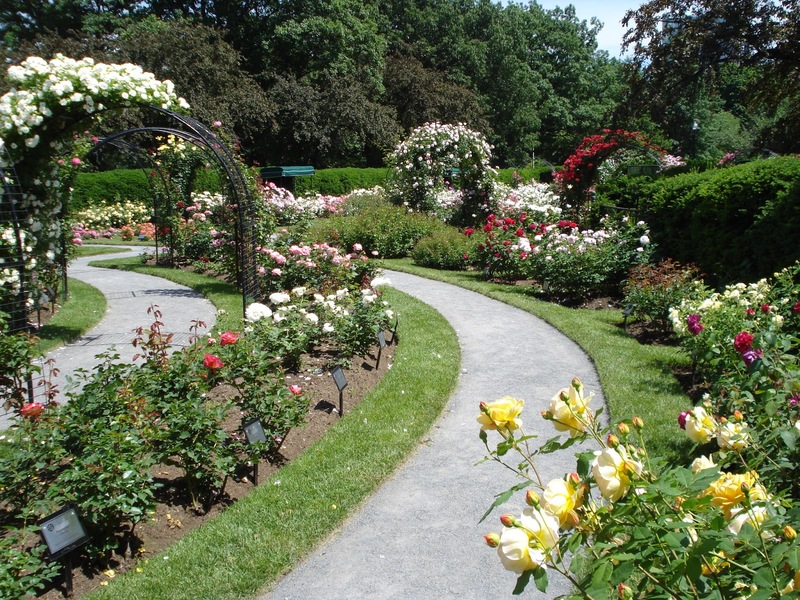 Between the World Wars, landscape architect Arthur Shurtleff redesigned much of Back Bay Fens by introducing a formal and linear style of planting and adding new areas within the park such as the Rose Garden. Another major addition to the park was the Victory Gardens, which were established when food rationing and shortages resulting from World War II created a demand for vegetable and herb gardens. This tradition still continues today as the community gardens. Although Olmsted's original planting patterns have been largely replaced over time, the way in which he designed the general human experience of Back Bay Fens remains intact. The community gardens are a specific example of this, with people of different backgrounds coming together and interacting. On a larger scale, the park brings together nearby residents as well as students from local schools and workers from the surrounding medical and cultural institutions. Creating a place in which people of different social, cultural, and ethnic backgrounds can share experiences and learn from each other was one of Olmsted's primary goals for the Emerald Necklace, and it has continued in Back Bay Fens despite all of the park's physical changes. Back Bay Fens is only about a five minute walk from the BAC, so the next time you need a break at school take a little time to check it out. There are lots of great paths to walk and comfortable places to sit and sketch or read a book. Just walk west on Boylston, and you will run right into the park.